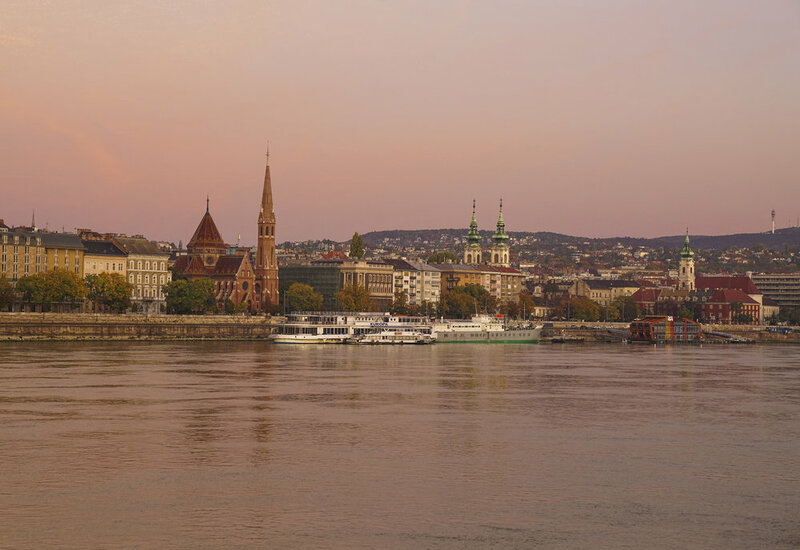 This fall I went on a European river cruise along the Danube with Viking Cruises, an European company with excellent reputation for providing a dream vacation. I’ve chosen an 8 days itinerary called Romantic Danube which allowed me to visit multiple cities in 3 countries: Budapest in Hungary; Vienna and Krems in Austria, Passau, Regensburg and Nuremberg in Germany. With daily news letters and experienced tour guides, I was able to learn about interesting history lessons and fun facts about each city. To me, this is definitely a pleasant way to travel. Instead of worrying about daily transportation arrangements, I wake up every morning to a new vibrant city and ready to explore. Viking Cruises also provides excellent traditional and international cuisine! The trip started in Budapest, the capital of Hungary. The former two cities Buda on the west bank and Pest on the east bank became one city in 1873. There are lots of things to see in Budapest, especially along the Danube River, now classified by UNESCO as a World Heritage Site. Including the Hungarian Parliament, Buda Castle, Gresham Palace, Fisherman's Bastion, Chain Bridge across the Danube, Matthias Church and the Liberty Statue, etc. This mixture of gothic, renaissance and neo-renaissance, classic and neoclassic buildings and the accents of ancient roman architecture will catch your eye as well as the busy streets and the people here, locals and tourists transforming Budapest in a city that never sleeps. If you have more time in Budapest, don’t miss landmarks like Andrássy Avenue, St. Stephen's Basilica, State Opera House, Heroes' Square, and the Great Market Hall. it might be interesting to use the subway since this is the second-oldest metro line in the world. The bridges that allow you to cross from Buda to Pest are also popular tourist attraction: Chain Bridge, Rákóczi Bridge, and Megyeri Bridge are all architectural jewels complimenting the Danube. After a good night sleep, we arrive the largest city in Austria, Vienna. There are plenty of things to see here in Vienna: the city center is also a designated UNESCO World Heritage Site, with the famous Gothic Stephansdom and the pedestrian streets filled with famous shops and incredible historic buildings. Furthermore, the Ringstraße, Rathaus (Town Hall), the Burgtheater, the University, the Parliament, the twin museums of natural history and fine art, the Staatsoper (Opera House) and the Staatpark (City Park) are all popular photo spots around the city. The abundance of palaces will make it difficult to pick and choose, I would highly suggest the Schönbrunn Palace and gardens as they are magnificent. The story of princess Sisi intertwingled with the palace history will add another romantic touch. If time permits, definitely take a day trip to Salzburg as that is the City of Music where many famous musician were born, including Wolfgang Amadeus Mozart. Known as one of the oldest cities in Austria, located on the East end of the Wachau Valley, 43 miles west from Vienna, Krems is a beautiful town with thousands years of historical buildings. Although Krems is a rather small city, with a little over 24 thousand inhibitors, the city is filled with charming old streets and squares, old churches and monasteries, old fortifications that are picture-perfect. The inviting small restaurants and coffee shops will make your day in Krems perfect. Next, we leave Austria to Passau, Germany, also known as the "City of Three Rivers," (Dreiflüssestadt) because the Danube is joined at Passau by the Inn the Ilz rivers. Passau is another old town with its origin in the 2nd century BC, but also a young and vibrant town for the 50,000 people that live here, and over 12,000 are students from the local University of Passau. A must see here at Passau is the St. Stephen's Cathedral (Der Passauer Stephansdom), a true masterpiece of Italian Baroque. 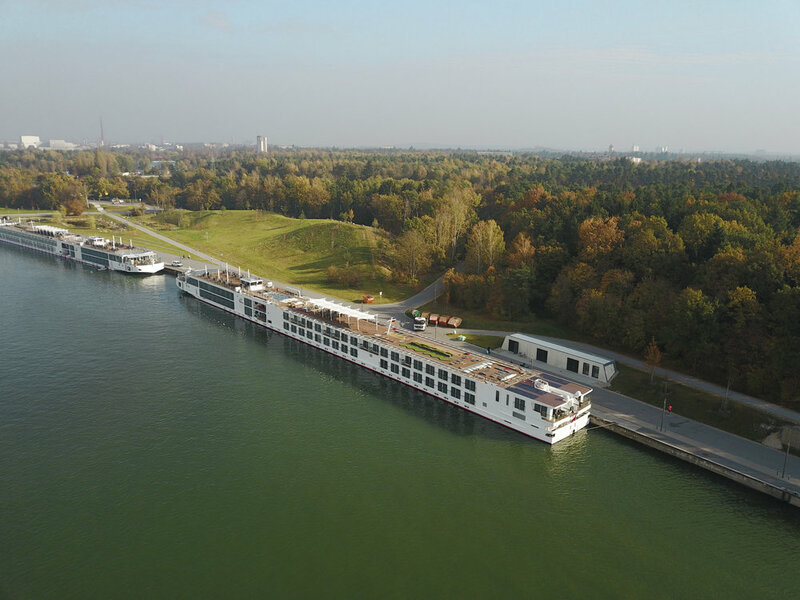 Soon sailing along the Danube we reached Regensburg, also located at the confluence of three rivers: Danube, Naab and Regen rivers, is the fourth-largest city in the State of Bavaria after Munich, Nuremberg and Augsburg. The medieval centre, another UNESCO World Heritage Site, is one of the top sights and travel attractions in Germany. Note that Regensburg is the largest medieval old town north of the Alps with almost 1,500 listed buildings, so everywhere you look it’s something interesting to see. Many tourists choose to dine at Regensburg Sausage Kitchen a major attraction located in the former headquarters of the stone bridge, but you can find many other nice restaurants with excellent food. Last stop is Nuremberg, another rich destination with many things to see: The Imperial Castle of Nuremberg, Würzburg Residence, town walls, the old town, St. Lorenz Cathedral, Nuremberg Toy Museum, Germanisches Nationalmuseum, Stadtmuseum Fembohaus, Hauptmarkt, etc. Being in the city, you will realize that Nuremberg was for centuries a centre of humanism, science, printing, and mechanical invention. Names like Albrecht Dürer, Nicolaus Copernicus Anton Koberger who opened Europe's first print shop here, Johann Pachelbel, Veit Stoss, Adam Kraft and Peter Vischer are associated in one way or another with Nuremberg.